Myanmar is now the new "gold-rush," and human rights and political freedom both appear to be the collateral damage. While London and Washington have been eager to get in on the chase for resources and markets, Beijing seems to have a jump on all. Myanmar is projected as having recently opened up its political system, and presumably earned a "suspension" of sanctions (previously imposed for the authoritarian regimes decades old human rights abuses against political dissidents and ethnic/religious minorities). Much of the most recent focus has been on the Rohingya minority - is Myanmar's regime orchestrating an ethnic/religious conflict as means to legitimize and perpetuate its hold on power. Long standing repression and now ethnic cleansing appear to be part of the grave violations of international humanitarian law. Even UN and NGO associated persons have been jailed and now convicted in non-transparent/secret prosecutions. Despite promises for an independent inquiry, there has been no clarity regarding the violence in Rakhine state allegedly driven by Buddhist-Muslim tension. See our last Report: "Myanmar Trials No Transparency - Has Anything Really Changed with Authoritarian Junta?" The conflict with the Kachin minority in the north of the country has also intensified since the supposed liberalization by the junta in Rangoon. Many Kachin had fled to China across Myanmar's northern border seeking refuge. 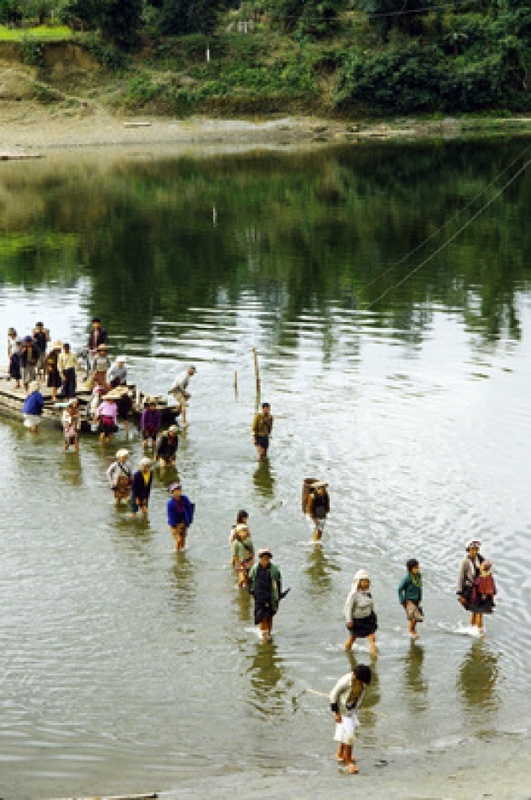 (Most of the Kachin are Christians although significant minority is Buddhist and some remain animist). China though appears to have embarked upon a campaign to deliver the Kachin refugees back into Myanmar: “UNHCR is urging the Government of China to offer temporary protection to those who fled the fighting, to respect their humanitarian needs and not send them back to a situation where their safety and livelihood could be at risk. We stand ready to support China in assisting these people until the situation stabilizes in their home areas,” a spokesperson for the Office of the UN High Commissioner for Refugees (UNHCR), Adrian Edwards. Mr. Edwards asserts that some 5,000 ethnic Kachins – who had fled fighting between Government troops and rebels that broke out in Kachin state in June last year – have been returned from China since mid-August, and were living in makeshift camps in border areas of the Myanmar state. UN estimates are that some 75,000 civilians have been displaced within Kachin and Myanmar’s northern Shan states since fighting broke out between Government troops and rebels last year, with more people continuing to flee insecure areas every day. The spokesperson noted that more than 3,400 returnees are now staying in camps for internally displaced people in Kachin state because their homes were destroyed in the fighting and they are afraid to return to their villages. “They desperately need food, medicine, shelter and other relief items." See our Blog for Film "Regime Divides Opposition & Minorities?" According to UN news Centre: Despite repeated requests to the Chinese authorities, the refugee agency has not been able to reach or assist Kachin groups living along the Chinese side of the border. Recently a UNHCR team has traveled to the town Lwe Je on the Myanmar side to provide aid and assess the needs of the returnees. For some time the UN had been frustrated in its efforts to directly access the contentious areas and deliver desperately needed humanitarian assistance. Some of those interviewed said that local authorities in China pulled down their shelters, and others reported that plainclothes policemen put them on a truck, loaded their belongings on another truck, and drove them to a border crossing point. Staff of a local non-governmental organization saw what happened and arranged for trucks to take the returnees to the nearest camps in Myanmar, according to Mr. Edwards, who also noted that local groups say they expect more people to be sent back from China.